Relationship expert and couples therapist Figs O’Sullivan gives husbands and wives a resource to feel more connected in their marriage on Empathi with Figs. No matter how strong we are, when it comes to love there is a part of all of us that can feel rejected or ashamed. Figs teaches you how you can be the one you’ve been waiting for. When you consider that I´m a relationships expert and couples therapist, you might be surprised by the guidance I share in my very first podcast. I explain how YOU can be the one you´ve been waiting for and the one your partner and family deserve. Actually, you will learn that it has to be you. In matters of love, each of us struggles with the hurt and shame that we experienced when we were children. We may think that we´ve gotten over it, or believe that we should be over it, or that we´ve succeeded in shutting those feelings away. But nothing could be further from the truth. The ways we learned to cope in order to survive in those early years are the very things that get in our way now, that keep us from having the relationships that we long for. I discuss why this is the case and how a change in approach can shift us towards the relationships we want. I share my own story to help you see how this works. I also wrote about my life titled The Place I´ll Go Before I Die. Why is it important to become the one you´ve been waiting for? For one, the vulnerable, rejected parts of yourself are never going to go away. They are an essential part of who you areo instead of trying to get rid of them, embrace and accept them. The more you try to avoid suffering, the more you suffer because smaller and more insignificant things begin to torture you in proportion to your fear of being hurt. The one who does most to avoid suffering is, in the end, the one who suffers most. Another reason this work is so important is that it breaks the chain of emotional pain that has been shackling your ancestors and will shackle your descendants into the future as well. Scientific research shows that we pass trauma on to the next generation. We can interrupt this intergenerational trauma transmission. The part of you that is a hurt, sad, lonely little child is the part that needs love and care the most. It the part that you need to listen to and comfort. No more criticizing, no more shaming yourself when this part of you comes to the fore. Once you start to show up for yourself, you realize that you can be the person your loved ones deserve. You can be the partner, parent, sibling that you want to be. In the podcast I give you the steps to take so that you can be the one you´ve been waiting for. They are simple, but not easy. They amount to a daily, lifelong practice. And, being human, we will get it wrong, of course! In the next podcast, I bring my wife, Teale on the show and we explore how the magic of relationship happens when you can correct course. Join me and Teale for the second Empathi with Figs podcast, The Magic is in the Repair. 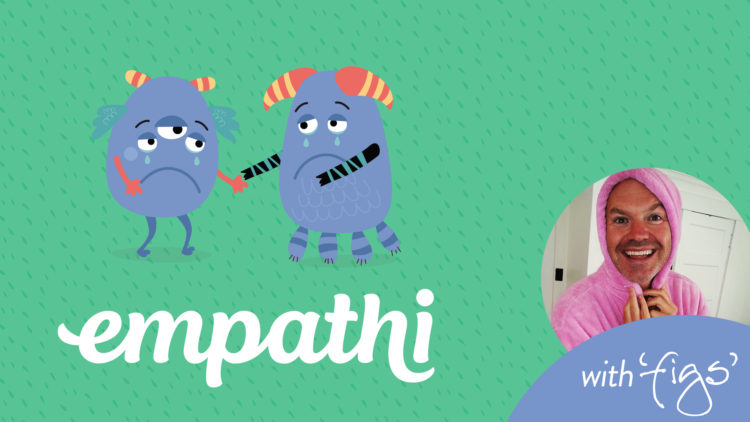 Take the free Empathi relationship quiz at empathi.com to learn more! Want more daily reminders about love and relationship delivered free to your inbox?